A detailed set of drawings that are designed to meet standard building code requirements. The drawings include floor plans, exterior elevations, site plan, framing, foundation, and electrical plans. A complete set of specific, well-defined, permit-ready construction drawings that contain all the details enabling us more accurately estimate the cost and successfully build your project. An estimated cost of construction. During Construction Phase we execute the design from the foundation to the roof. Design & Product Specification phase. Usually, designers, architects, and draftsmen may design projects without ever addressing the potential costs. In far too many cases, these same design personnel are not familiar with construction costs, or they may not know how to build. In such a case, the budget is not considered and the project ends up costing more than the Homeowners can afford. 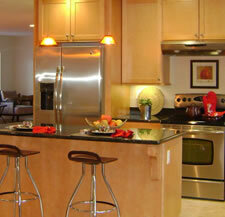 In addition, these design personnel are not typically trained in the entire remodel process. They may perform their design, and then leave the contractors and the Homeowners to interpret potentially vague and inadequate plans. Estimating construction costs is quite a difficult task today, since there are so many different types of designs and so many different types of products. It is extremely difficult for anyone to guess as to project costs. This is the goal of doing all of the details ahead of time - to find out exactly how much it will cost. We will likely be able to give you some ballpark ranges of typical costs that you should spend based on the value of your home. Ultimately, what you can afford and what you want to spend will be our Guide, but if these amounts are not consistent with your expectations of your project, we will let you know. Design fees will vary depending on the scope of work desired. We need to talk about your project and actually visit your home to get an idea of the scope of your work. We can then give you a detailed design agreement. In order to get to the final costs, a detailed design must be completed and all products need to be specified, which then leads to the completion of a detailed estimate. Our Design/Build process allows the Homeowners to get what they want because the Homeowners are thoroughly involved in the Design & Product Specification for their project. 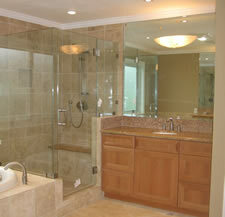 It takes a good deal of our time and effort to design a project that is both very functional and aesthetically pleasing. So, we want to take that time with you. We are in the best position to guide and assist you through the Design and Product Specification Phase. We also appreciate your effort in making the decisions required for your project. We realize how much time and energy goes into moving through the process. Our goal is to ease the burden of this process through education, communication and professionalism.